“The visitors should be able to use an efficient and informative Wi-Fi system, which in addition to the pure Internet access also contents to current and coming events holds” explains Christian Cramer, managing director of the LOOP21 GmbH Germany. 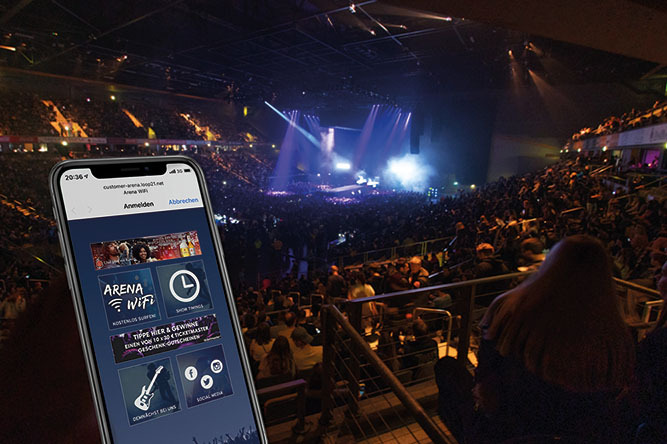 Information about the event, the program of the König-Pilsener-Arena and information about their partners contribute to an extended leisure time experience. Schedule of the event, catering, other events and, of course, access to the Internet are part of a system that is used thousands of times around the world and proves its reliability day after day. Of course, this system can be extended at any time, such as digital customer surveys and user profiling, to better serve the customer. To emphasize is the fact that no app needs to be downloaded – because the system works browser-based. This saves the customer the installation or storage space on his smartphone. The LOOP21 System in the König-Pilsner-Arena with Landing Page. Since 2009, LOOP21 has developed Wi-Fi and radio-based communication systems – from “simple” guest Wi-Fi via Wi-Fi-supported PoS marketing to security systems in cable cars and public transport. Currently more than 2,000 systems are in operation in 18 countries. 60 employees at 6 locations worldwide take care of the installation and administration of these systems. Due to its hardware independence, the LOOP21 Wi-Fi software can be used in almost any environment with all its functions. 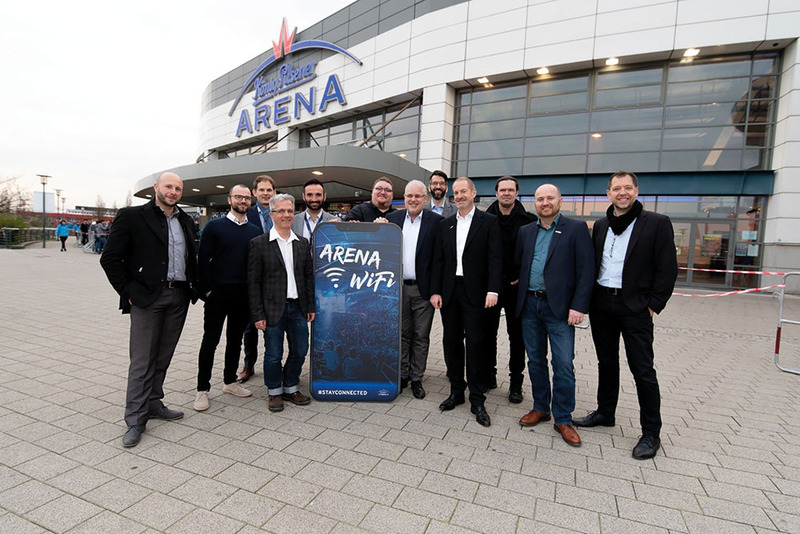 Together with the aruba hardware (over 100 access points) used in the König-Pilsener Arena, it ensures that thousands of guests can access the WiFi and the Internet at the same time. We look forward to a successful cooperation with the König-Pilsener-Arena and to be able to offer a good service to the guests.